What started out as a daily blogspot that aggregated all things founder Kevin Ma was interested in, Hypebeast grew into the daily go-to for those looking to stay on top of new and forthcoming releases in the arenas of streetwear, sneakers, grown-up toys, and whatever KAWS was doing next. 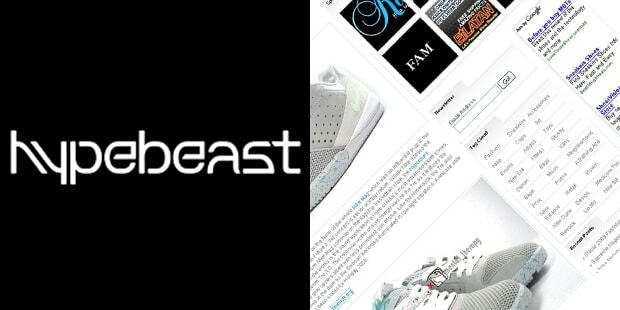 Now Hypebeast is a word used to describe the category, making it a brand beyond the blog. Kanye West has referred to himself as "the walking Hypebeast"